One of the problems I have always faced with my boots are to make them last as long as possible. They aren’t cheap and they go through Canadian Winter hell. 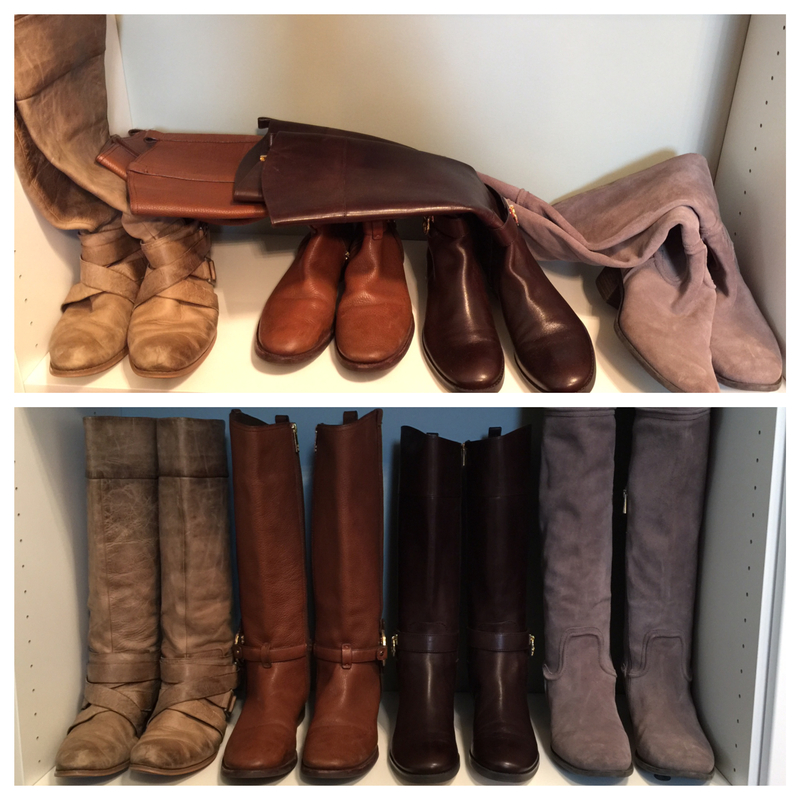 Part of my problem is the creasing the leather gets when the boots flop to one side or another. Not anymore!! I cannot take credit for this idea as it was a pinterest find but I still wanted to share! 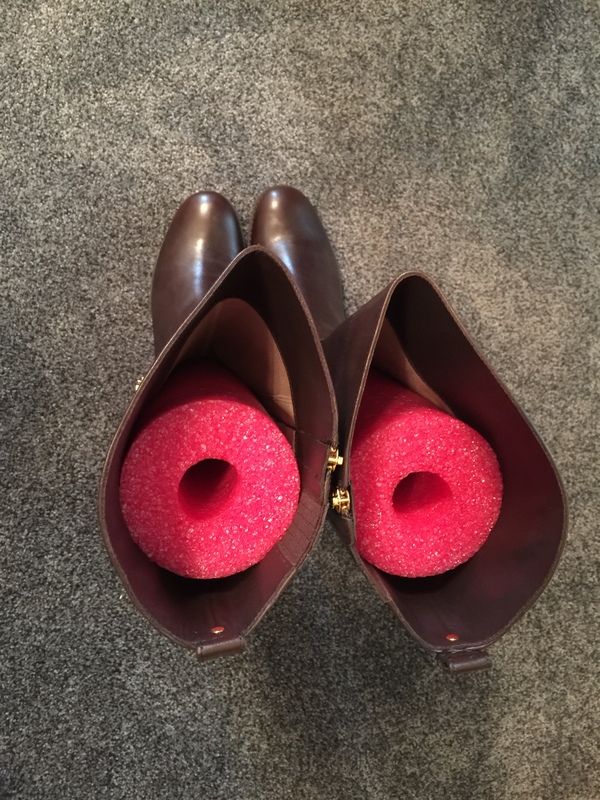 For $4.99 per noodle I was able to make 4 boot stands, or two pairs of boots stands and ta da! Problem solved in two easy steps! 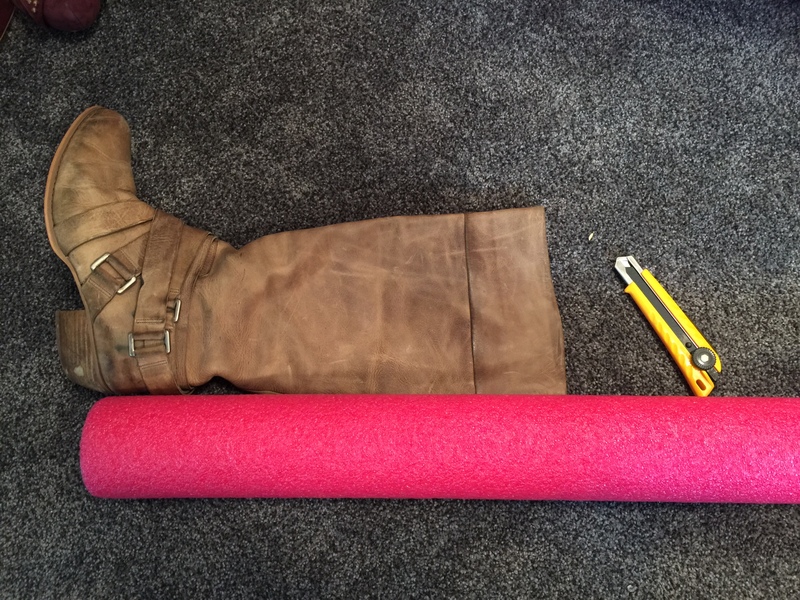 Measure your boot up against the noodle, remember you don’t want it to show on top so make sure you leave an inch or two below the top of the boot and cut! I know you said it was from Pinterest but this is seriously SO SMART. I need to find me some pool noodles.